A Boeing 747 of BOAC - British Overseas Airways Corporation flying above the United Kingdom on 7 April 1971. 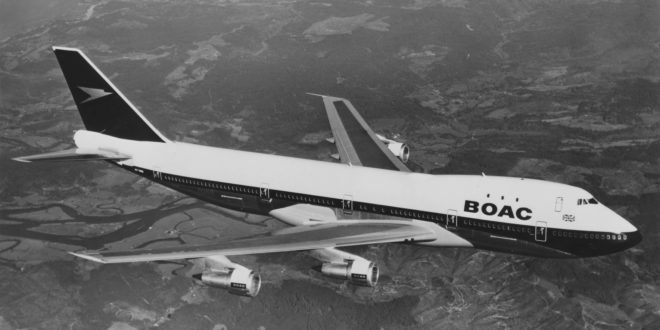 British Airways has announced that it is repainting one of its Boeing 747-400’s in a retro-livery of its predecessor British Overseas Airways Corporation (BOAC) as part of its centenary celebration. The aircraft G-BYGC will arrive at Heathrow from the paint shop in Dublin on 18 February in the BOAC scheme and will enter service the next day. 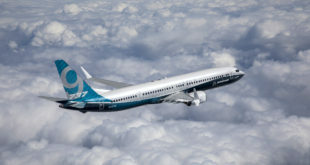 The livery will be used until the aircraft retires in 2023. A rendering of the new BOAC retro-livery jet. 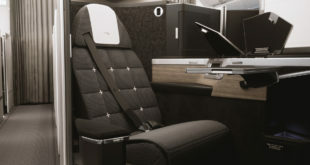 An enticing piece of news the airline also released is that the BOAC 747 “will be the first aircraft to receive a popular design from British Airways’ past with more details of further designs to be revealed in due course”. With the airline confirming that all their new aircraft including the A350 will remain in the existing Chatham Dockyard livery, it will be interesting to see which will be the next aircraft and livery to be announced. 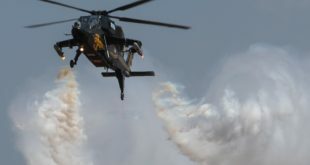 Since BA has announced that more aircraft will be repainted in special liveries, I think that it could be one of the following. 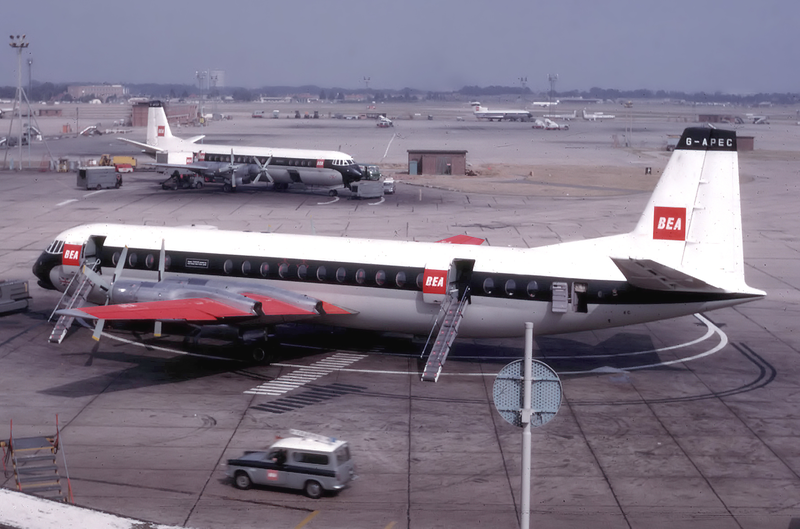 A narrow-body aircraft in the livery of BA second predecessor British European Airways (BEA). A British European Airways Vickers Vanguard. The iconic Landor livery that was used on the original 747’s and Concorde. 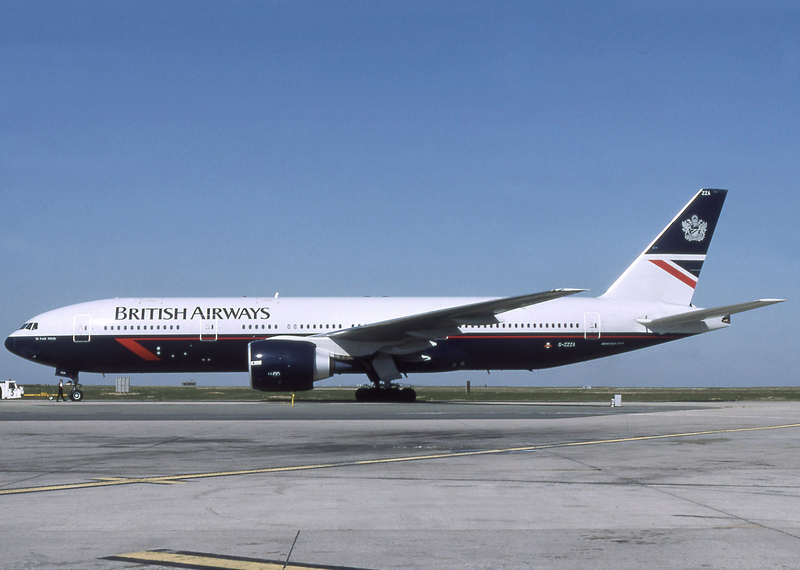 Interestingly the aircraft in the image G-ZZZA is the oldest Boeing 777 delivered to British Airways and remains in service with the airline today at 24 years old.